Slidell Moving made it as easy and painless as possible. My representative Ken, who came to do an in home estimate was kind and thorough and has been extremely responsive to every question I have had throughout the process- including my random stressed out texts and emails. The team of 3 men who came to actually pack and load my house on moving day was friendly, efficient, and professional. I have moved 6 times in the past 5 years and this is by far the best experience I have had. Highly recommend. Great experience with these guys. Used thwm for an international move. Company had great communication throughout the whole process. I would definitely recommend the packers, Ro and Xavier. Very professional but at same time fun. I have been in the Navy for over 20 years and have experienced about 6 or 7 moves. Most have been disasters. These guys and gals are top notch. Very professional. .great sense of humor and they took good care of our things. After 30 minutes, I knew I didn’t have to babysit these folks. My team was fabulous and dare I say the best move of 6. Slidell Moving provided an incredible, clean, efficient, organized, and professional moving experience for me. 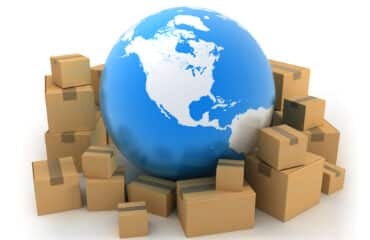 The staff arrived literally right on time that the move was scheduled for which was a great surprise based on my past experiences with other companies. The movers were friendly and professional, they said they would handle everything and I didn’t have to worry about anything. They were quick and did a very thorough job. They were extremely careful with all my glassware, TVs, mirrors, and other objects that I had that were fragile. They had roughly a 380 mile drive to our new home. They arrived and unloaded the truck and placed all of the boxes carefully in the places that I asked throughout my new apartment. I would HIGHLY recommend Slidell Moving for anyone moving and will definitely be using them for my next move. Keep up the great work guys! It definitely shows y’all have been doing this for a long time! Slidell Moving & Storage did a wonderful job with my move and everyone was so courteous. Not one item was harmed. Thank you. I needed to move from a large house in Houston to both an apartment in NYC and an apartment in Houston. A week before I had to vacate, my scheduled movers cancelled on me and referred me to other moving companies. When I spoke to Slidell Moving & Storage, I felt like I hit the jackpot. The house I had anticipated spending coordinating two moves was immediately freed up as they listened to what I wanted to do. Slidell Moving & Storage was very professional, knowledgeable, and personable. Thank you. My supervisor, Consuelo, requested I pass along how pleased she was with the gentleman completing the furniture move @ Park’s HQ office on Decatur St 4/23/12. She stated they were professional, quick, and thorough. She was very pleased and intends to keep Slidell Moving information on file should a need arise in the future. Please pass along to your staff their work is considered a job well done. Thank you for everything. Steven, I cannot thank you and your company enough for the easy transition we are having going through this move. The women who handled the packing were amazing and friendly. It is unfortunate that I don’t remember their names as of this time. Mr. Allen and Clarence were easy to work with, they went straight for the job and handled everything in a timely manner. They were all professionals in their field. Thank you for sending a great team! We used Slidell Moving for a local move, and were very happy with them. Steven (our sales rep) was very helpful and supplied us with many boxes (used, but in good shape) at no additional cost, saving us several hundred dollars. The men who were sent to do the move were courteous, careful with our belongings, and were very hard-working. In my job I have to constantly travel the world. I’ve worked with workers on every continent except Australia and Antarctica. 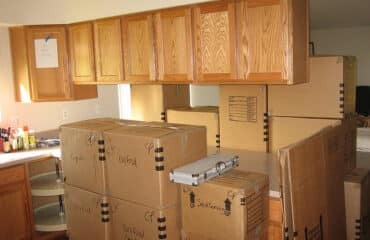 On 4/17/2012 Slidell Moving packed my household goods for a long move to Alaska. Slidell Moving sent James J. and Jerome B. to do the packing and moving… and those guys did a great job! Neither is afraid of hard work, both were excellent at attention to detail, packed the furniture as though it was their own and wasted absolutely no time. No laziness at all, they are professionals. If I had a company I’d want hard workers like James and Jerome. Very highly recommended. I just wanted to write your company to tell you what an outstanding job your crews have done. I have been in the military for 15 years and have had 5 contractor moves prior to this one. Jackie and the pack up crew was by far the most professional that I have ever seen. They were respectful, attentive and seemed to be dedicated to making it a positive experience. She packed exactly what she was supposed to and more importantly left what she was supposed to. When a situation came up she was not afraid to ask us. Cliff and the pack up crew again were truly professional. He took the time to make sure everything was wrapped and packaged appropriately. This is the first time in my military crew that I can say the move experience so far has been a pleasure. I want to thank everyone involved; I have every confidence that the rest of my move with be smooth sailing. BRAVO ZULU to Jackie, Cliff and their crews from Slidell Moving.